The Mattel Intellivision was strong competition for the Atari 2600. It featured unique controllers with a circular rocker pad. The controllers accepted thin plastic color overlays that slipped in to cover the buttons and provide specific functions for the game being played. The controllers are permanently attached, and the AC power supply is built-in, making for an uncomplicated unit. 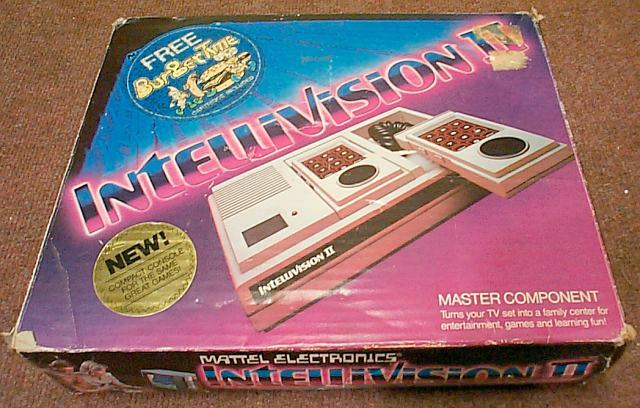 The Intellivision II was followed by the INTV System III. 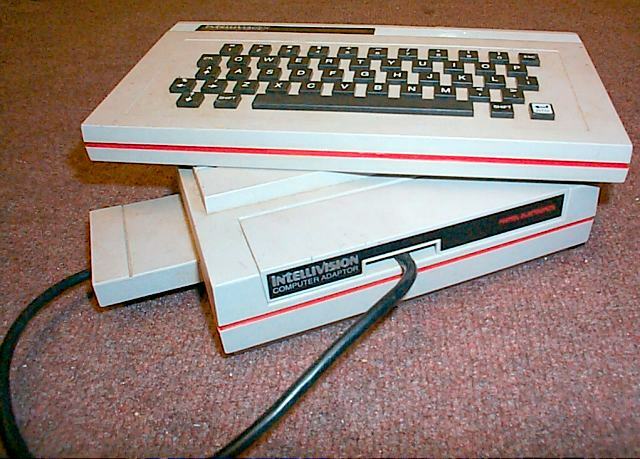 Here is the legendary Computer Adapter for the Intellivision II. This unit plugs in the cartridge slot and adds a keyboard.